English Premier League side, Liverpool have two African players doing well in their team - Mohamed Salah and Sadio Mane. 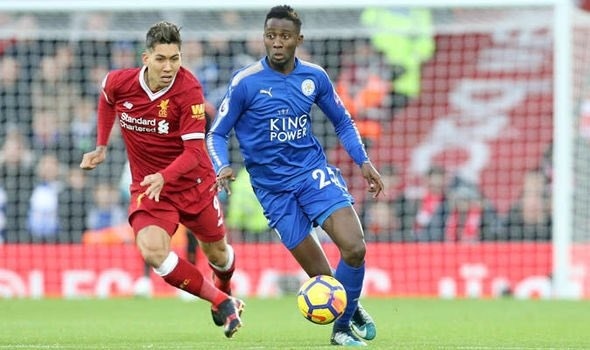 It has been reported that the Reds are looking towards another African, this time Nigeria’s Wilfred Ndidi who has been turning heads with his spectacular displays for Leicester City. As reported by the UK Daily Star, Ndidi has agreed to join Liverpool this summer subject to the approval of the Foxes. The 21-year-old has been touted as a replacement for German midfielder, Emre Can, who is set to leave Anfield at the expiration of his contract. Ndidi has become one of Leicester City’s key figures since he joined the club from Genk in January 2017. The former Genk star is expected in the Super Eagles camp in Wroclaw later on Monday. He has made 14 international appearances for the Super Eagles since he made his debut in 2016 and has featured in all English Premier League games for Leicester City (30) this season.